It's January 1, the first day of 2012, and it's time to make New Year's resolutions. Every year I vow to lose weight, exercise more, yell less, stop using the treadmill as a closet, keep my desk neat. Most years I make progress, then backslide, then drop the whole thing in frustration. I know I'm not alone. This year I'm trying to think about things differently. I want to get healthier. I want to feel better. If those things come with a few less pounds, great. But even if not, I want to take steps in the right direction. For the past few months I've been meeting with health and nutrition coach Rachael Pontillo of Holistically Haute Wellness. We're working on incremental changes to my diet, exercise habits, and overall approach to life and stress. "Incremental" is the important word in that last sentence. I don't do well with "always" and "never" rules. My goal is to create some new, healthier habits that will crowd out some of the old, less healthy habits over time. With Rachael's guidance, I've been adjusting my diet, including more greens, more water, less animal protein, less wheat, and more whole grains. I look for nutritional powerhouse foods: kale, quinoa, nuts, cabbage, squash, avocado, mushrooms. Creating new habits is hard - but I'm determined. I'm declaring January Superfoods Month here In Erika's Kitchen. All month I'll post recipes for the healthy, nutritionally sound foods I want to eat more of. And I'm doing this with the help of many friends - some food bloggers, some not - who will be guest posting and sharing their favorite "superfoods" recipes. Stay tuned. 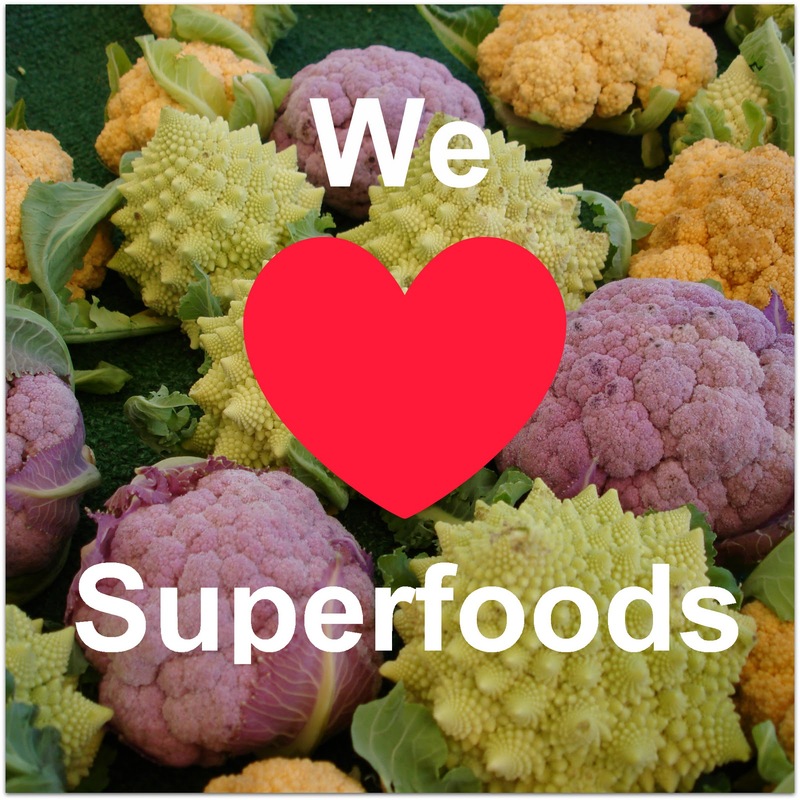 Got a "superfoods" recipe you'd like to share in a guest post during Superfoods Month? Email me at ekerekes [at] yahoo [dot] com - the more, the better! Feel free to grab this badge if you're posting about Superfoods on your own blog! Happy New Year! Keep moving forward that's all we can try to do, right? I love this idea- it's a perfect way to start the year off right. I swear I have those same pictures of the veges at the FM- exactly! I do have some great super food recipes... love to share- I'll email you. Happy new year! I recommend pomegranates... One of my fave superfoods! Can't wait to see your mushroom recipe, looking for a few new ones. What a great series! The recipes look simple and fantastic. Love all the colors!